This Freckles the Frog Bib & Burp Gift Set comes beautifully packaged in a box, tied with a ribbon and ready to give as a gift. 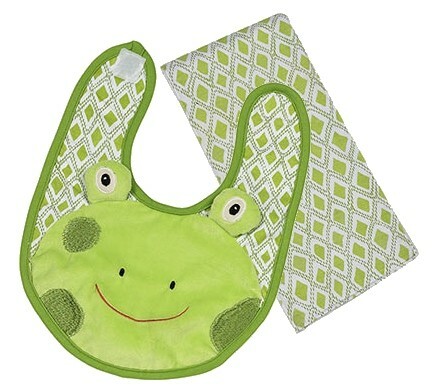 The bib features fun 3-D accents and is 100% cotton with a terry cloth backing. The burp cloth is made of absorbent cotton with a coordinating applique.